Tartaric stabilization is an important phase of winemaking process, performed on about 70% of European wine: in many white and red wines, indeed, it is essential to limit the tendency to form tartrate crystals in bottle, that result undesired to consumers. 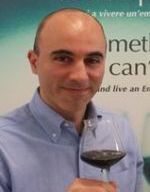 Presently, winemakers can follow two different strategies: the subtractive way, that eliminates from wine the excess of compounds leading to crystal formation (elimination of tartrate or potassium or both through cold treatment, resins or electrodialysis), or the additive strategy, consisting in adding to wine substances that inhibit the formation of crystals while preserving the original wine composition. The growing concern to environmental and economic sustainability in the wine sector is leading many producer to see with increasing interest to the additive strategy. Nevertheless, today none of the authorized additives fully meet all needs of wine producer: metatartaric acid (the cheapest and most popular option among additives), loses its efficacy after few months; carboxy-methyl-cellulose (CMC) is relatively inexpensive but not enough effective on very instable wines, and causes color loses and filterability issues on some types of red wines; yeast mannoproteins (MP) are needed in high doses in unstable wines, and their cost can result prohibitive in some wine segments; some types of Gum Arabic (GA) allow only a partial stabilization. The European project Stabiwine – funded by FP7 of European Community (FP7/2007-2013) through REA (research Executive Agency) below contract n. 314903 – has developed a new additive overcoming all technical limits of present alternatives, and joining to these positive characteristics an excellent level of economic and environmental sustainability: this is the case of potassium POLYASPARTATE, a stable polymer of L-aspartic acid, able to totally inhibit the formation of tartrate crystals even in highly unstable wines, without color loses and without effect on wine filterability. The audiovisuals proposed in this item, presented in a devoted module of Enoforum 2015 in Vicenza, Italy, sumarize the results obtained during the research that developed the new product, ready to be marketed as soon as the authorization procedure – presently well advanced both at OIV and EU level - will be finalized. Gianni TRIULZI, R&D Director of Enartis, frames the new technology in the context of all practices for tartrate stability, putting in evidence as well conceived and managed additive strategy can be very effective and, at the same time, more economic and respectful of wine quality and environment. 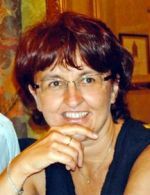 Antonella BOSSO, researcher at CREA-Enologia of Asti, Italy, who has directly conducted most of the Stabiwine experiences on polyaspartate, and coordinate the research group, summarizes the scientific evidences raised from the study, and confirm the absolute technological interest of the new additive for a modern enology. 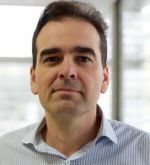 Ricardo LOPEZ, researcher at LAAE, Zaragoza University, Spain, reports his observations on the total sensory neutrality of the new additive, even when it is used at doses three times higher of those normally needed in wine.